Luxury all inclusive Cuba holidays up to -70% off To take advantage of these offers, join now for free! 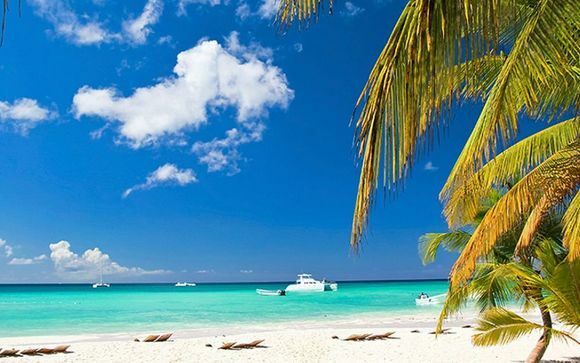 The island of Cuba is a beautiful tropical paradise and the perfect place to get away from the day-to-day routine. 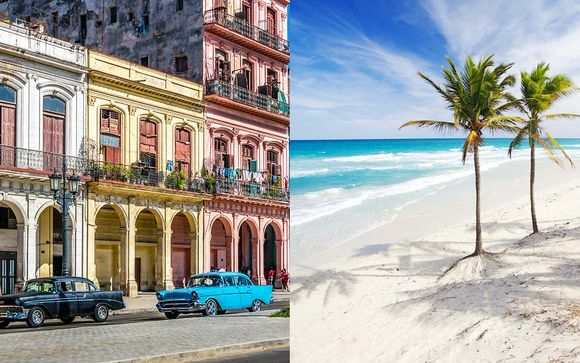 Whether you want to explore the streets of Havana, finding the perfect bar to learn to rhumba, or relax on one of the island's stunning beaches, we have the perfect Cuban holiday for you. All of our holidays are handpicked by our team of luxury travel experts. From beautiful historic hotels in Havana to chic modern villas on the coast, all of our destinations are 4 and 5* only. 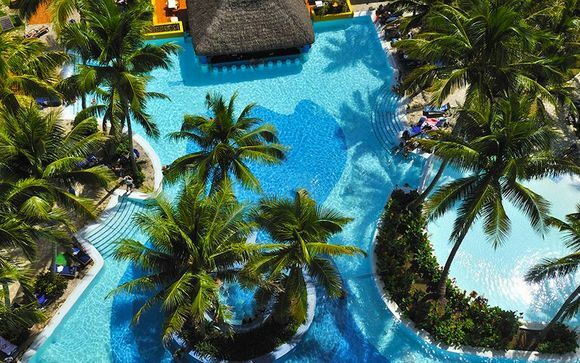 You can experience the finest hotels when you book one of our all-inclusive Cuba holidays, with rooftop pools, city centre locations or private beaches. Our hotels are in some of the most beautiful spots in Cuba, with stunning scenery and breathtaking views of this tropical paradise. Each hotel is of the highest quality, with deluxe rooms, beautiful grounds and gorgeous pools to relax by. 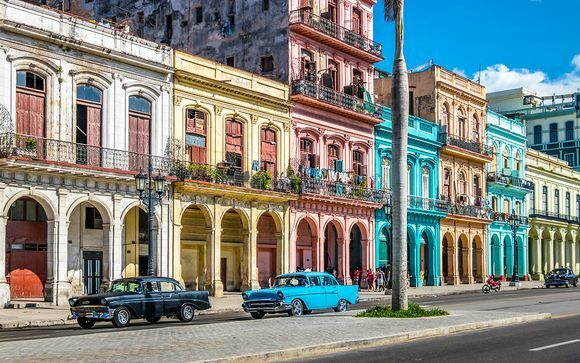 We understand that a holiday is all about the experiences and we've made sure our all inclusive Cuba holidays provide you with plenty of memories to keep forever. 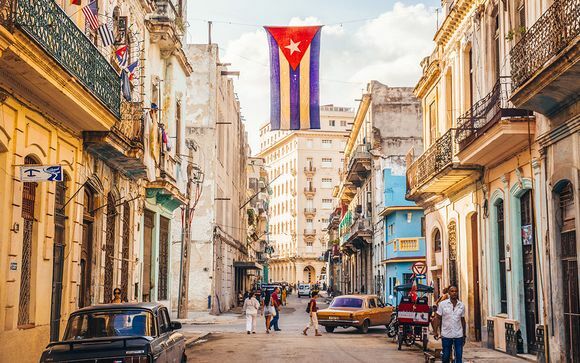 Whether it's enjoying a cabaret show in Havana, exploring one of the Caribbean's stunning ecological resorts or drinking mojitos on the beach at Varadero, you'll love every minute of your Cuban adventure. You can relax and unwind in style with one of our all-inclusive Cuba holidays. Don't worry about cooking, our wonderful resorts have a wide choice of restaurants, so you don't have to lift a finger and try something new every day. With amazing beachside bars, serving classic Cuban cocktails, you can let your hair down and enjoy the delights of Cuba in style. Not only do our members get access to some of the most exclusive hotels in Cuba, we work with our stunning hotels to offer you unbelievable discounts. With offers of up to 70% off, your Cuban getaway might be closer than you think. As well as huge discounts, our members can also enjoy exclusive perks, like excursions, room upgrades, spa access or cooking classes, as part of their one-off deal. Sign up to become a member of the best luxury holiday club today and browse through exotic getaways at incredible prices.